Citing a person familiar with development of the AirPods, The Wall Street Journal reported on Friday that Apple's stumbling block is the wireless connectivity between the left and right parts. 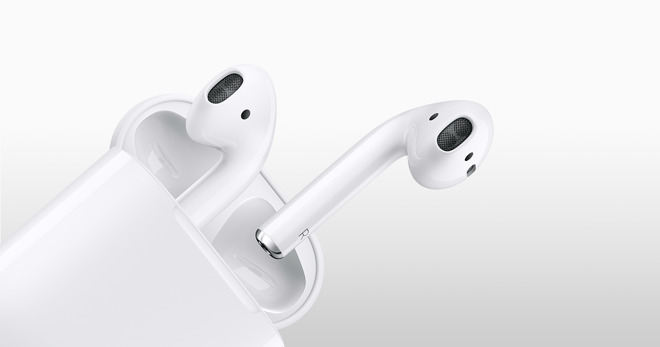 Unlike with most headphones, Apple's AirPods are completely wireless, with each earpiece unattached to the other. This requires the two parts to stay in sync, otherwise stereo sound would become disorienting. In addition, the same person reportedly said that beyond audio sync issues, Apple is also still working out what to do when a user loses one of the AirPods, or if the battery dies in just one of the units. First announced alongside the iPhone 7 in September, Apple's AirPods were originally due to launch in October. 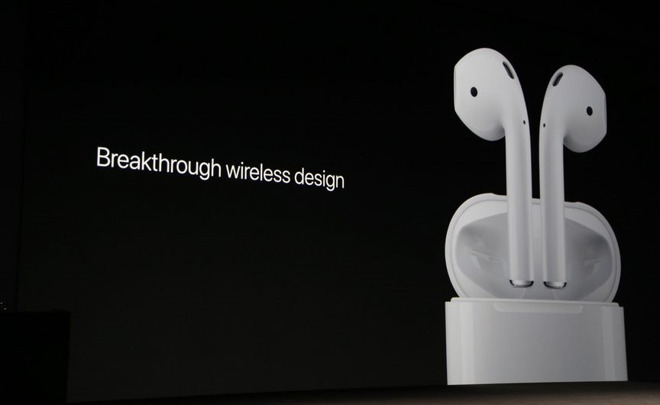 But Apple missed that launch window, and has since said that the headphones will debut later this year. AppleInsider's own sources said in November that AirPods remained on track to launch before the end of 2016. With with more than a week down in the month of December, Apple's window for launch before Christmas and the start of 2017 is dwindling. Certain selected reviewers were provided AirPods by Apple back in September. And retail stores around the country already have demo units onhand awaiting a launch. The latest indications could suggest that those units in the wild may need a software update to address nagging problems related to syncing the wireless earpieces. Apple Chief Executive Tim Cook allegedly sent an email to a customer in late November telling them to expect AirPods to begin shipping in the "next few weeks."